The tip shared by Shura is to become familiar with your menstrual cycle, because you will then observe subtle patterns of change. A woman’s menstrual cycle is a reflection of her internal mechanisms, because of this a Chinese medicine practitioner will always ask lots of questions about it. These observations allow a practitioner to assess the patients individual pattern of disharmony for the reason of deciding on a treatment principle. This will include the use of Chinese herbal medicine, acupuncture or other techniques to return to balance. 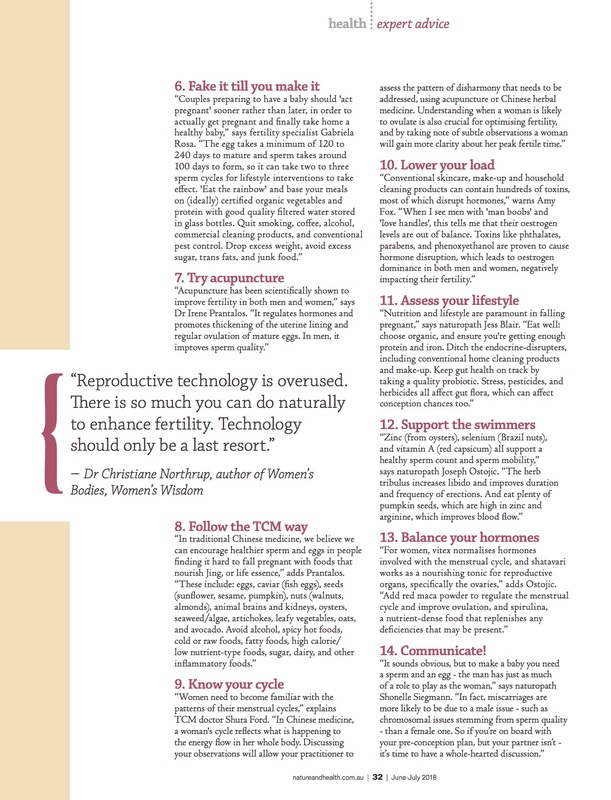 Observing the cycle allows a woman to understand when she is likely to ovulate because this is crucial for fertility. Each month only a short window of opportunity to conceive exists, therefore gaining clarity about this time will aid the chances of conception. 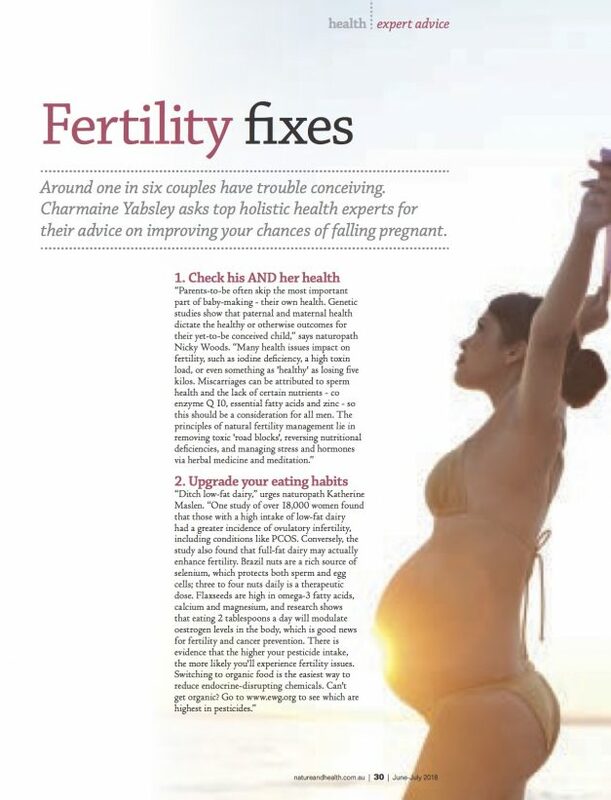 Fertility fixes article appeared in the August-September 2018 issue of Nature & Health, Australia’s original and best natural health magazine.